When a company defines its purpose, it’s as important that the internal team members understand it as the external audience. This short video distilled Gallagher’s new Purpose into a single compelling message and was shared with all 30,000 Gallagher employees worldwide. Next, we generated a new Brand Identity Guideline, modernizing the look and feel, voice and tone. 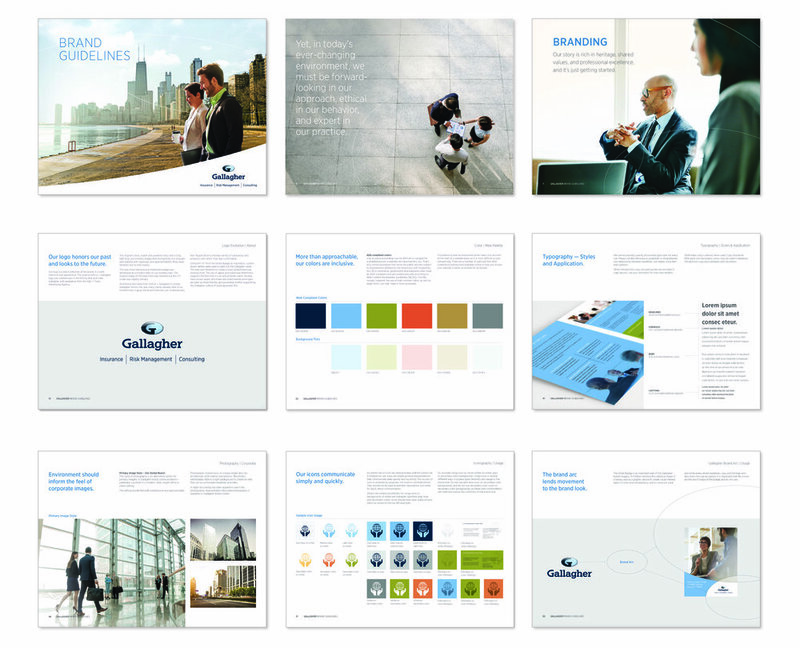 Mirroring Gallagher’s authentic, relationship-based approach to business, we created an authoritative, yet approachable communication style. We carried the look through their photography, too, defining a lighter, brighter style and enhancing it with a slight tan coloration to help unify the assets. From collateral pieces and trade show events to digital ads and social media, the brand delivers a fresh, cohesive message. To express the brand in printed communications, we developed a fresh and flexible collateral system utilizing the signature brand photography, font family and brand voice to engage current and prospective customers. To help bring factual information in line with our approachable feel, we implemented a new color palette and developed a dynamic group of custom infographics to add interest to what can often be stark, unintelligible data. Gallagher’s event exhibit booth, too, received a brand update. The new space is a sleek and modern environment that expresses the new look in three dimensions, utilizing all the brand elements, photography, style and language. Digital ad units, social media, and web content are essential parts of any marketing strategy, reaching a multitude of audiences across a wide range of digital devices. Bringing the brand online, the U.S. website was quickly re-branded to reflect the new vitality of the brand refresh and signal a change to Gallagher’s online audience. Once the Brand Guideline was complete, we helped coordinate its implementation across their vast global network. Now, all global and regional operations are working from a consistent set of guidelines, accessible from a central online resource. Brand assets are available to affiliate offices in 34 countries around the world on gallagherbrandcenter.com, an updatable brand portal. As a focal point of Gallagher's sports sponsorship with the Chicago Cubs, Gallagher obtained the naming rights to not only the western gate at Wrigley Field, but also to the adjacent multi-use park. Now named Gallagher Way, the park welcomes nearly 700,000 fans and visitors annually to Cubs games, concerts, and other events. We created a signage package to brand the venue, including structural signs, digital signboards, and custom neon signs. Sharing common principles, such as teamwork, innovation, trust, talent, safety and value, Gallagher formed a sponsoring partnership with the Carlin Racing Team. 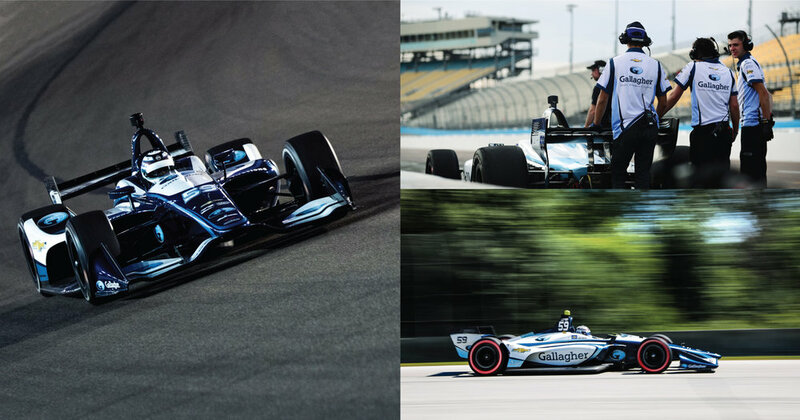 To help support this sponsorship, we co-designed an Indy car paint scheme with Carlin Racing, bringing Gallagher brand impressions to ardent domestic and international audiences. This animated short is the first in a series of videos designed to introduce “The Gallagher Way,” the company’s core philosophy, to internal and external audiences.